The Executive Suite is located on the top floor of our Monterey, California hotel and offers stunning views of the majestic Monterey Bay. 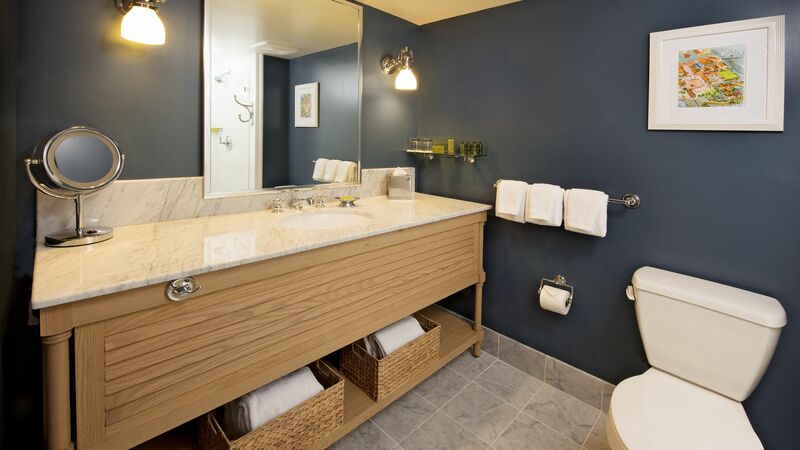 One of our more impressive Monterey Bay suites, the one-bedroom Executive Suite offers a beautiful wet bar, telescope, dining area, bookcase and a flat screen television in the main room. The bedroom in the Executive Suite offers a bay view window seat, flat screen television, eco-friendly bath amenities and marble-lined bathroom with a large walk-in shower. For the best rates guarantee, reserve your stay online. No Resort Fees! One Bedroom Executive Suite rooms are unavailable for booking online. Please call (888) 222-5851 to book this room.